Create and sell online courses and membership sites under your own brand. 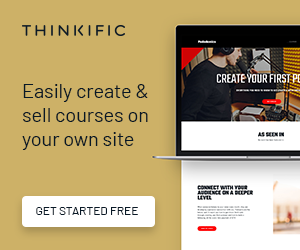 Thinkific’s powerful, all-in-one platform makes it easy to share your knowledge, grow your audience, and scale the business you already love. Whether you’re educating 10 students or 10 million, feel confident that you’ve got the easiest technology and best support in the business.